A RIDE Transit Talk with Christof Spieler – Feb 21! Former Houston Metro Board member Christof Spieler is one of today’s most creative thinkers on how to make transit work better for the people who use it. And he’s coming back to New Orleans! Join Christof for a Ride New Orleans Transit Talk on Thursday, February 21 at Tulane University’s Small Center from 6 to 8 p.m. He’ll discuss his latest book and lessons learned from other cities that we can use for better bus, streetcar, and ferry service right here in New Orleans. When: Thursday, February 21 from 6 to 8 p.m.
Christof Spieler is an urban planner and former board member of Houston Metro – the RTA for the Houston region. He was the driving force behind Houston Metro’s transit transformation – the 2015 network redesign that changed where many of Houston’s bus routes go in order to greatly increase the number of riders who are near frequent and reliable service. Building on that experience and his work as a transit planner, Christof has just released a book – Trains, Buses, People: An Opinionated Atlas of US Transit – that further explores how to make transit work better for the people who ride it. He describes what makes transit successful and the political problems, bad ideas, and policy limitations that can hold it back. He’ll share those lessons and more on February 21. 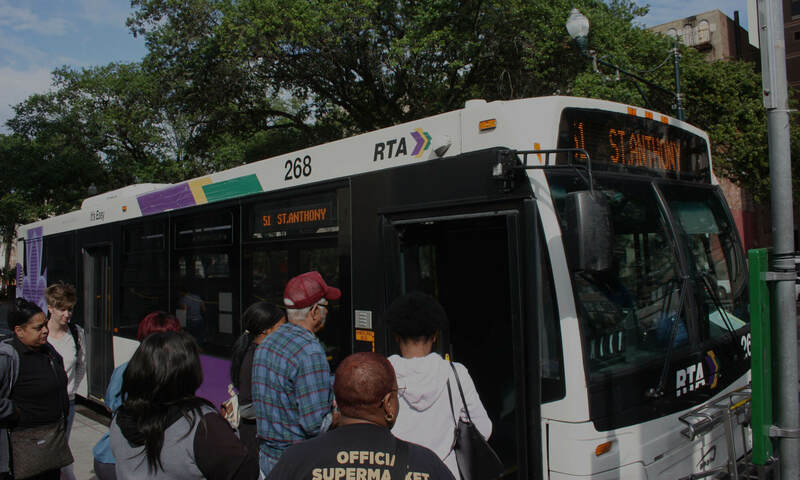 RIDE is especially excited to welcome Christof as the RTA and JeT start work on the Comprehensive Operations Analysis (COA) – an evaluation of existing transit lines and rider feedback that could lead to a similar network redesign for the New Orleans region. We very much hope you can join us on Thursday, February 21. Space may be limited – so RSVP today!